The Beau Lima Top is super soft and very colorful. 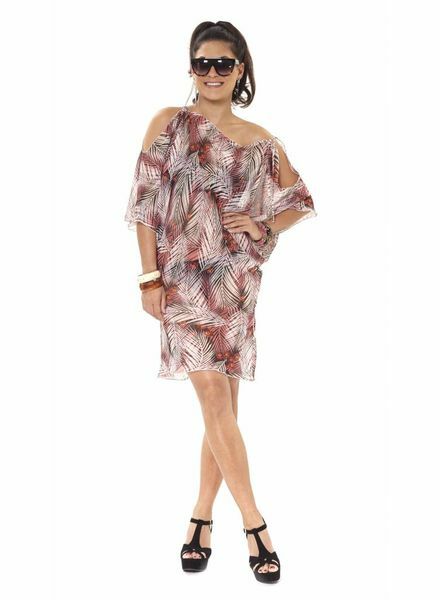 Easy to combine with the Thelma Lima Skirt or an plain colored skirt. The Gala Piazo Blue Dress is the perfect dress for sunny days or wear it with a nice jacket. The jersey dress is super comfy and elegant. The Mara Campo Pink skirt is super soft and easy to combine. Combined with a Lupa Campo Pink Top, you will create a fantastic outfit. 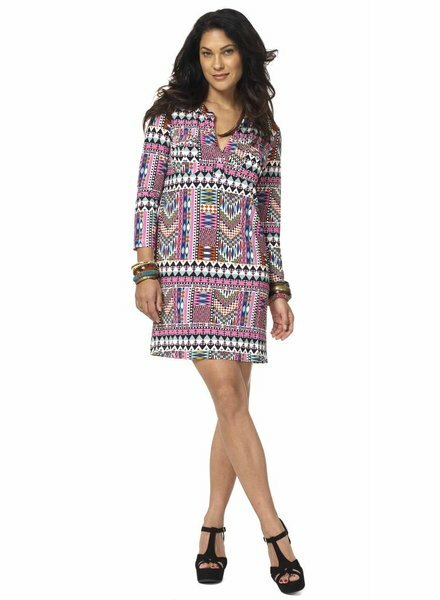 The Roxya Fresco tunic is a wonderful elegant jersey tunic. Gorgious for the beach or a for a date. The Ofelia Amalfi top has a fabulous shape. The short sleeves and the elegant ruffles are feminin and very fashionable. The fabric is comfortable and the print is easy to combine with plain colors or other prints. The Gina Piazo Pink Dress is an ultimate showstopper. Very colorful and it makes your figure feminin. The Dita Fresco Dress has a elegant v-neck. Flirty and feminin, nice for the spring and summer. The Roxya Red tunic is a wonderful elegant jersey tunic. Gorgious for the beach or a for a date. 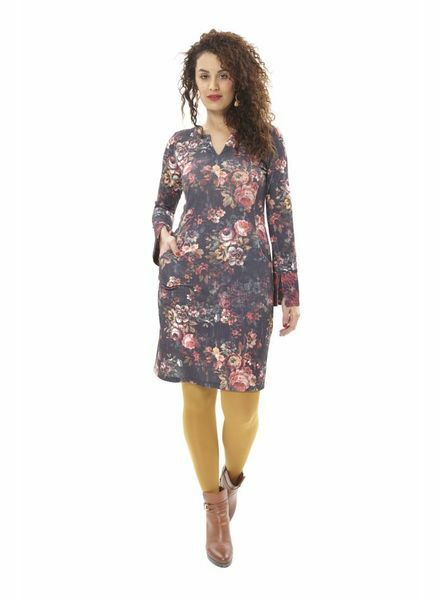 The Jane Asia tunic is super soft and and has a beautiful flower print. 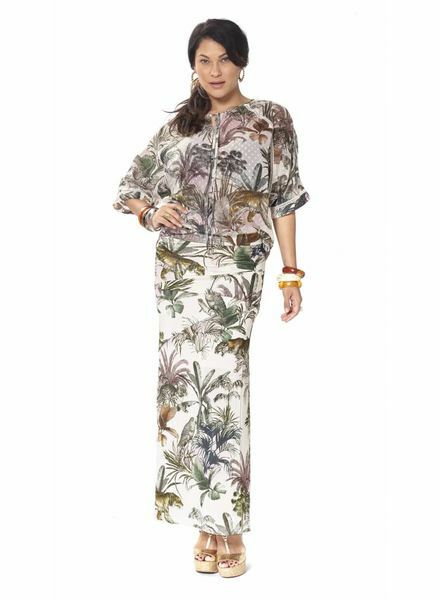 Combined with the Kimono Asia and the Patsy Elba pants you will create a beautiful casual outfit. 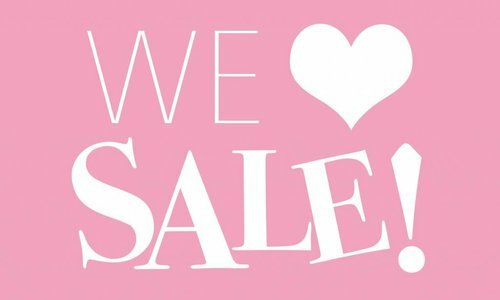 The Roxya Campo Pink tunic is a wonderful elegant jersey tunic. Gorgious for the beach or a for a date. The Patsy Tampa pants is a wonderful light, wide leg pants. Perfect for the spring and summer time. The Lupa Anjou Top is a simple playful blouse with a colorful print. The two ribbons will give you at least two options that you can wear the Lupa Amazonia Top. The Gala Piazo Pink Dress is the perfect dress for sunny days or wear it with a nice jacket. The jersey dress is super comfy and elegant. 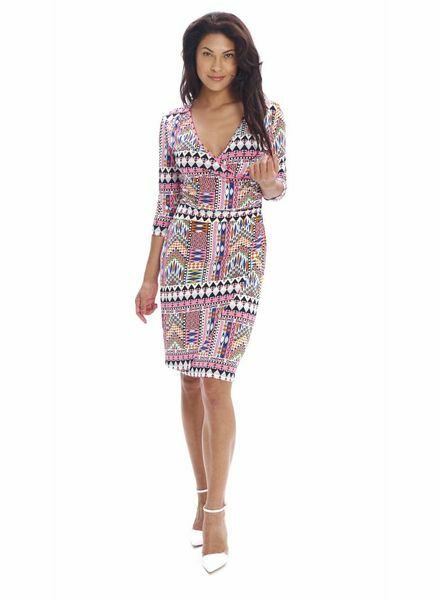 The Paloma Tampa dress is one of our favorite designs always in our collection, every season in a different fashion print. The elegant Angela Phoenix dress is cut from stretchy Italian jersey and is easy to wear. The dress has 3/4 sleeves with a slit, a slit in the neckline and an A-line skirt with pockets for a flattering fit. Falls just above the knee. 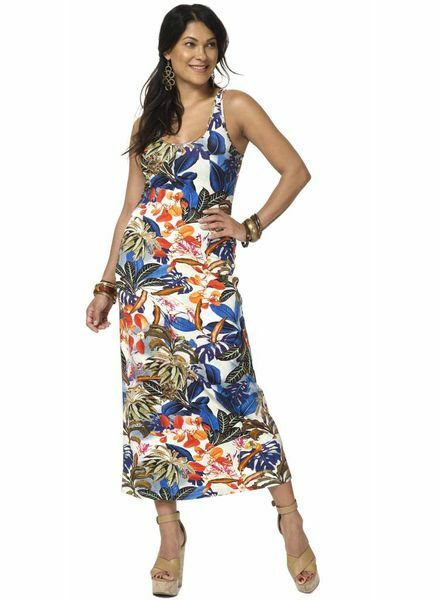 This Jacky Botanical dress give you an ideal figure and beautiful curves. The elagant style and the flower print gives a slim effect. Perfect for every fashionable occassions. 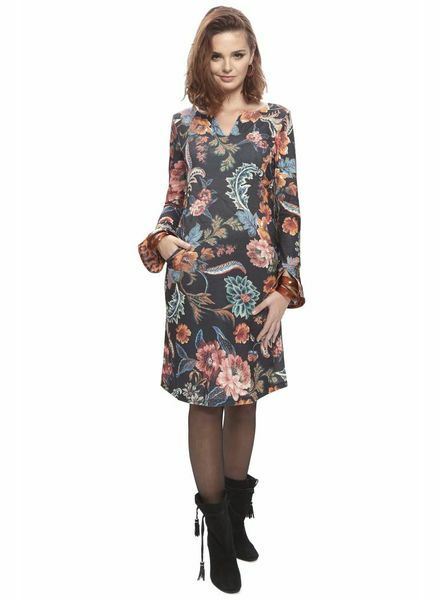 The elegant Angela Woodstock dress is cut from stretchy Italian jersey and is easy to wear. The dress has 3/4 sleeves with a slit, a slit in the neckline and an A-line skirt with pockets for a flattering fit. Falls just above the knee. 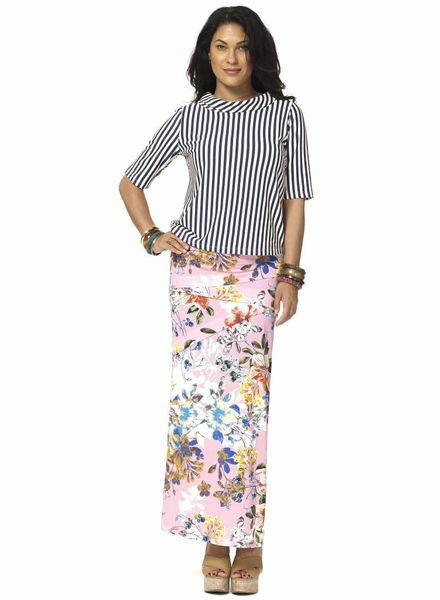 The Kylie Botanical skirt gives you a fabulous stature. It is comfortable and the print is easy to combine with plain colors or other prints.